Outside, Musk again confronted him and continued to berate him, warning the employee that if he harmed Tesla, “I will nuke you,” according to one of the people with direct knowledge of the incident. Other people said the warning was meant to keep the employee quiet about what had transpired that day. Yeesh. The Bloomberg story continues with some pretty devastating hits, including allegations from anonymous former employees who say they remain afraid of Musk, even after they’ve left the company, and that Musk once fired an employee on a conference call featuring “dozens of Tesla employees” before letting the person know that they’d been fired privately. 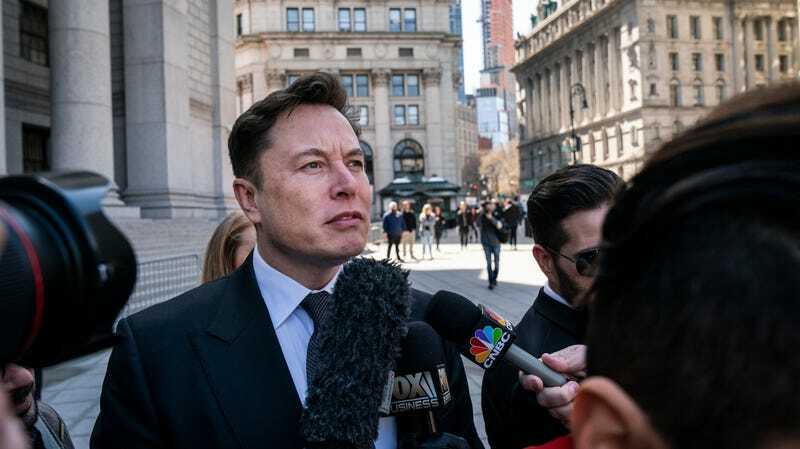 We reached out to Tesla for comment on the Bloomberg report, and the company denied any physical altercation took place in a statement from a company spokesperson. The spokesperson did not comment on the additional workplace atmosphere allegations. My thoughts are with the Tesla human resources department.